Having one company both design and build your project can save you time and money and greatly increases the probability of developing a project that is line with your vision, desired schedule and budget. A project is fast tracked with one central point for conceptual designs, construction drawing development, custom details and finishing touches, permitting, and build. Intrigued? 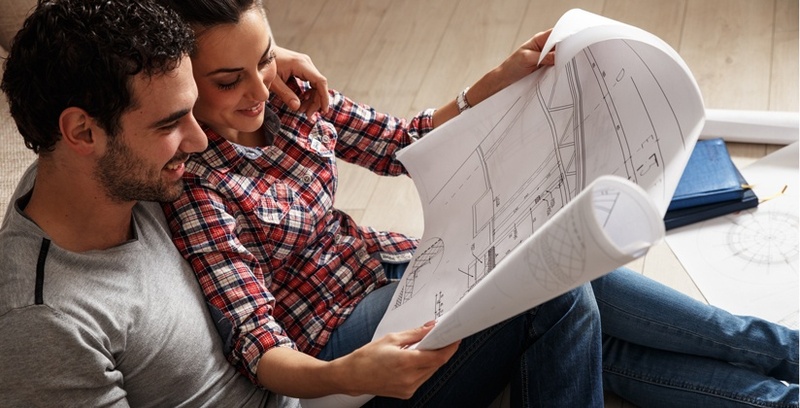 Here are the top five reasons why Design Build leads to successful projects. With design build, the budget is defined early on and guides the entire project. This early knowledge of costs avoids the disappointment of doing a design, then costing it out only to find out that the project is well beyond what you are willing to spend. There’s no point developing a $500K design if you have only $250K. Knowing where the project is likely to fall budgetwise allows the design build team to make the absolute best of what you would like to spend. The design team applies their practical experience and knowledge of historical job costs to optimize your investment. Design-build designers are not only skilled at design, they are also experts in balancing design with cost. Having one eye focused on your overall budget makes them more responsive to your needs and ultimately better equipped to deliver what you are looking for. 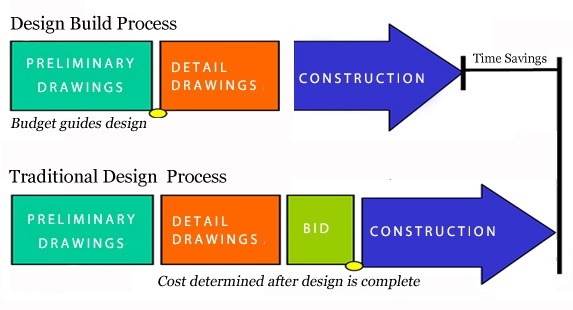 Time is saved by eliminating the post design bidding phase as well as further iterative redesign and bidding since the value of various design alternatives is thoroughly considered at each decision point along the way. Additionally, keeping an eye on the budget along with way increases the probability that the final design will meet the full set of your expectations, design objectives and that targeted amount. The lag between design and construction start is eliminated when your project is scheduled into the construction schedule at the start of the design phase. Design-Build gives you single source accountability. It's convenient, and it provides consistency. When the right hand knows what the left hand is doing, there are less misunderstood intentions, reduced conflict, lower construction costs, and the whole process takes less time . You profit from the synergy and consistency of service that comes from working directly with one company that's designing and building your project. There’s greater continuity between the vision of the design and the realities of construction than there otherwise would be. It helps that there’s no handoff between the design and construction. This seamless transition minimizes the chance for things to fall though the cracks. Design-Build gets any showstoppers out of the way up front. "Feasibility" is done early on; researching town records to ensure that the work can be executed within the parameters of local codes and ordinances. This reduces the possibility of unforeseen problems, expenses, and/or holdups later. Experienced trade partners are included in the review process before the design is finished. Their insights helpensure that required ancillary work is included. Their critical eye helps to minimize unforeseeable obstacles.